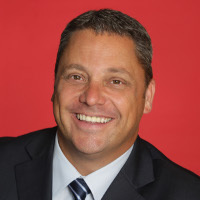 Doug Hewitson, the Managing Director of G4S Secure Solutions Group has agreed to write a monthly blog for Infologue.com. In Doug’s first blog, he examines integrity, the perception of security firms and how G4S has taken measures to overcome those misconceptions. Over the last 10 years, the need to drive CSR issues has become a core feature of virtually every company’s business strategy, a far cry from the side issue it once was. What we see today is a much more complex picture, as companies understand that profitability and CSR are no longer mutually exclusive, but inextricably linked. Demonstrating integrity across all aspects of a business – whether through employee engagement, community investment or carbon reductions – can bring huge advantages and opportunities. In years gone by, the security industry has weathered its fair share of criticism on its integrity and potential infringement upon individual privacy and human rights. Only last month, reports of the government’s proposals to allow unlimited access to all forms of communication in the interests of security received a public backlash. We must prove that ethical behaviour is more than a reaction to regulation or legal compliance, but a proactive choice. There are few global businesses which have the same geographic footprint, scale and diversity of workforce as G4S. Working across a range of sectors and throughout so many diverse countries, the ethical delivery of our services must be tailored for each and every operation. Now, as the Olympics draw nearer, it is more important than ever that business ethics remain at the top of our agenda. To this end we have maintained a Business Ethics Steering Group, which ensures that high standards of integrity remain a key component of the business throughout 2012 and beyond. Investing in the training and development of our employees is also fundamental to the business. Last month we were proud to witness our 2,000th employee complete their National Vocational Qualification and Apprenticeship, a scheme that continues to develop outstanding people. As well as looking after our own people, we appreciate the value in helping communities outside of the organisation too. This month, we were awarded the Gold standard for corporate responsibility, after scoring 90 per cent in the latest Business in the Community CR index, awarded for initiatives such as our partnership with Bromley by Bow Centre, an innovative health centre in the East End of London. Over the last 10 years we have provided financial and management support to the Centre, which in turn offers teaching to our employees at Mile End Hospital. It goes without saying that a company as large as ours has a major environmental impact. Since we launched our Climate Action Strategy in 2009, our carbon intensity has decreased by more than 10 per cent per £1m of revenue. We also believe that rising to these environmental challenges requires senior management buy-in, and as a result we have launched our own independent CSR Committee. Made up of experienced non-executive directors, the Committee ensures that these issues continue to be an integral part of our long-term strategy. It is vital that the security industry continues to combat negative perceptions about integrity, discipline and responsible governance. We must maintain the momentum we have gained on CSR‑related issues and show that safeguarding our integrity remains just as important as securing businesses and communities across the globe.